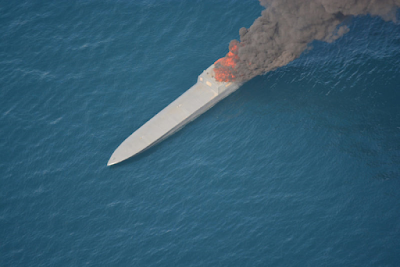 Over the past two months Coast Guard vessels intercepted approximately 52,900 pounds of cocaine. 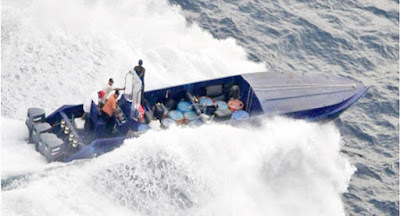 57 smugglers have been arrested. 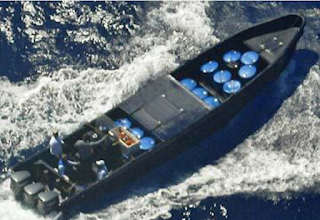 The USCG says smugglers are increasingly turning to low profile 'go fast' boats to move cargo. They ride low in the water for a reduced radar signature and are camouflaged to evade detection. A boarding team recently seized about 4,978 pounds of cocaine from a 'go fast' vessel, a near record. 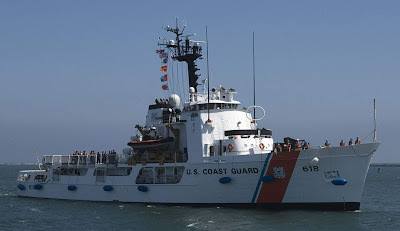 The Coast Guard has increased it's presence in the Eastern Pacific Ocean and Caribbean Basin, which are well known drug transit zones off of Central and South America.